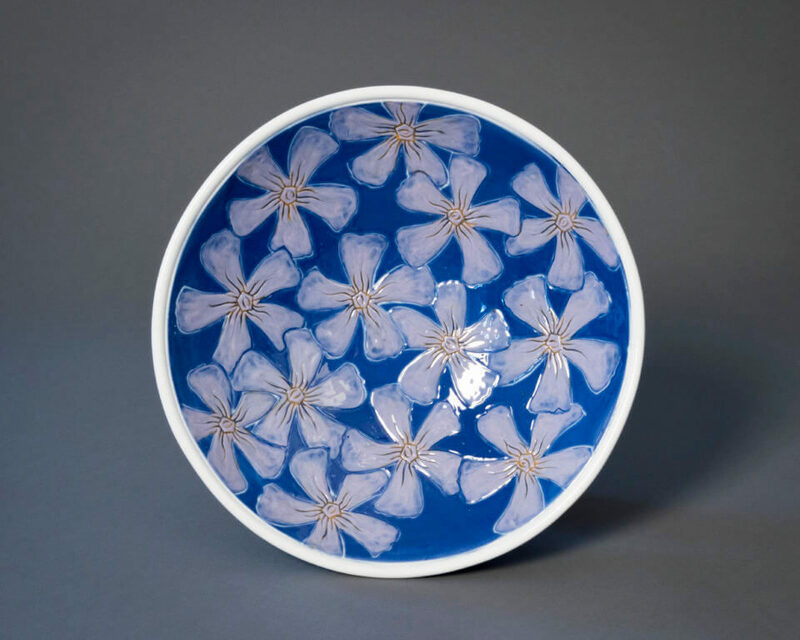 This Vinca Bowl, made of porcelain and colored slip, was created during the summer of 2017 as part of my artist residency at the Pottery Workshop in Jingdezhen, China. I am donating this platter to the Empty Bowls silent action (information below). If you live in Las Cruces, NM , then consider attending the benefit on October 20th from 11 a.m.-2 p.m. to provide for the hungry.